Telegram Cloud is a very powerful tool available to all Telegram users. 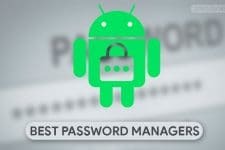 It allows you to upload, view and transfer your data without storage limits. It’s accessible from a section called “Saved Messages” and some of you may already be familiar with it. Otherwise, we recommend checking out our article about it, you’ll find the link below. Now let’s see some Telegram Cloud tips and tricks to get the most out of it! 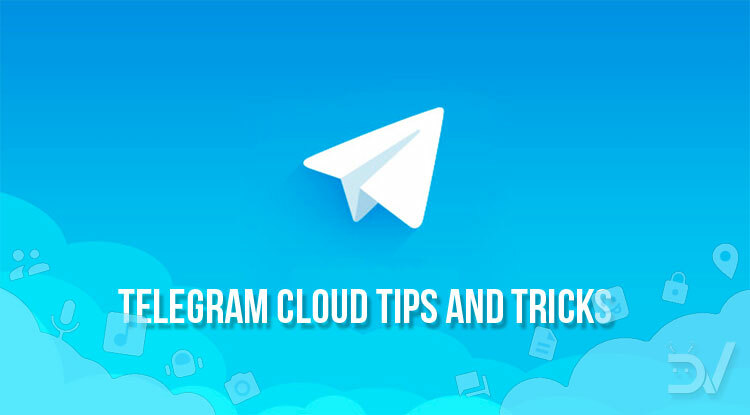 Let’s start our Telegram Cloud tips by simplifying the access to it. Saved Messages looks like a normal chat, which means that it also blends in with the other conversations. Luckily, Telegram natively integrates a pinning feature. Pinning a chat means that it will always appear at the top of the list. Doing this is quite simple: you just have to long press on it and select “Pin to Top“. Now your Cloud won’t get lost between groups and chats! Many social networks have taught us how convenient tags (or hashtags) can be. Telegram allows you to use them as a way to categorize messages. This is convenient by itself, however, you can use a trick to get the most out of them. Whenever you upload some files, you can send a tag to which you can get back later. This way, when you search for a tag, you’ll be able to find it in the conversation and easily get to what you’re looking for. 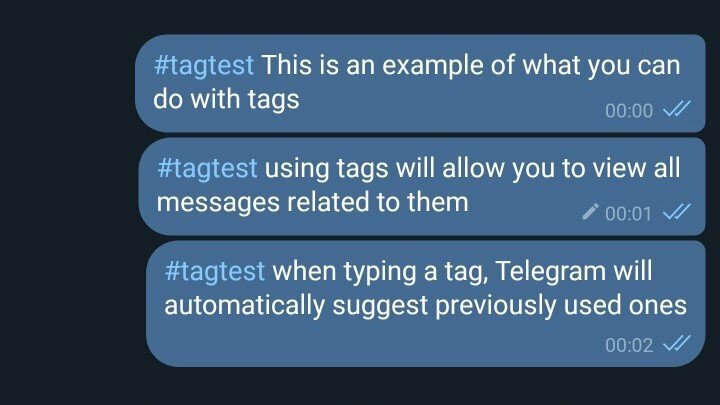 Additionally, Telegram remembers all previously used tags. When you’re typing a tag, you’ll see a list of the previously used ones to make your life a bit easier. Lastly, you can instantly find related tags by tapping one of them. As you know, being a chat-style service, Telegram Cloud doesn’t allow the creation of folders. In case the chronological order and tags aren’t good enough, you may find categories extremely helpful. When you send a specific type of content (image, file, link, audio…) it will automatically get categorized. As a result, organizing your content becomes completely effortless. The interface may change based on the app you’re using. If you take a look at the screenshots below, you’ll see that categories are arranged horizontally. This makes scrolling through them incredibly simple and convenient. If you want this kind of look, you may be interested in trying Telegram X. Instead, the standard Telegram app will require an extra click to reach your categories. You’ll find both Play Store download links at the bottom of the article! You may not know that most social media and chat services compress your images when you send them. 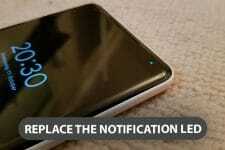 Some of the advantages are faster communication, data saving, and lower storage usage. However, sometimes you need the full quality, and Telegram is one of the few chat services which allows this. Of course, seeing it as a Cloud, it makes a lot of sense. Whenever you want to upload an image, there will be two ways to do it: gallery and files. When you go to the gallery, your images will be uploaded as media files. These images will be compressed to make them as compact as possible. This is very useful if you’re interested in the content since most of the times the result will be good enough. However, it’s not the ideal option is you want your images to look good. The alternative is uploading the image file as it is, thus avoiding any quality losses. The file picker offers a tool to browse your storage, but you’ll also find a convenient gallery which collects all image files on your device. Sometimes someone sends a message which you would like to keep. Doing this is very simple: select it, tap on the forward button and select “Saved Messages“. All your messages will be there, whenever you need them. This applies to any kind of message or file, so you can also store downloadable items. These messages will be stored on the left with the original sender name, making them easier to distinguish from your personal content. From the attachments menu, you’ll also be able to send a location. There are two main location types to choose from current and custom. The current one is pretty much self-explanatory and will use your GPS coordinates. The accuracy depends on the quality of the signal, but you can expect a maximum 20-meter error range. The custom one, instead, allows you to search nearby places or businesses. When tapping on the location, an in-app map viewer will be launched. This will allow you to see the pinned place and your current location. You can also use the navigation feature to easily reach your destination. If you want a suggestion, use this when you park your car in an unfamiliar area. This way, getting back to it will be much easier! This concludes the Telegram Cloud tips and tricks. Hopefully, these suggestions have been helpful to improve your experience. There is much more to know about this powerful tool, however, now you should have a basic understanding of its potential. If you want to share your personal suggestions, just leave a comment below!